When I cook for work, everyone wants me to make my strawberry cake or baked macaroni & cheese. And it's great to be appreciated for those things, but sometimes I just want to try something new! So I volunteered to make the dessert for my family's small Thanksgiving gathering (we do a bigger family shindig later), with a Pumpkin Cheesecake in mind. Dan loves the holiday cheesecakes from The Cheesecake Factory, so I wanted to do something similar. 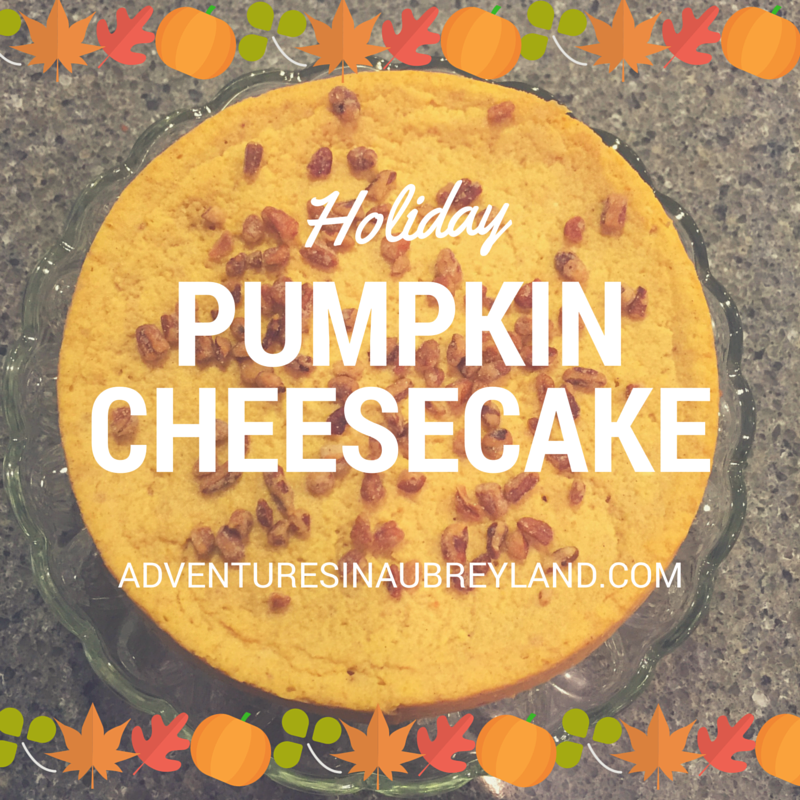 He prefers both the Pumpkin and the Pumpkin Pecan cheesecakes, but I decided to go with the former due to simplicity. I used this recipe, but ran into a couple of SNAFUs of my own doing along the way, with typical Aubrey solves. First off, I have three springform pans, but I don't have a roasting pan yet. So when it came to figuring out a bain marie (water bath) I had to use my 8" springform with a large rectangular cake pan, instead of a 10". That meant I made a lot of crust and filling. So I decided to make some mini cheesecakes in a muffin pan, to gift to my friend Lindsey. Problem solved! 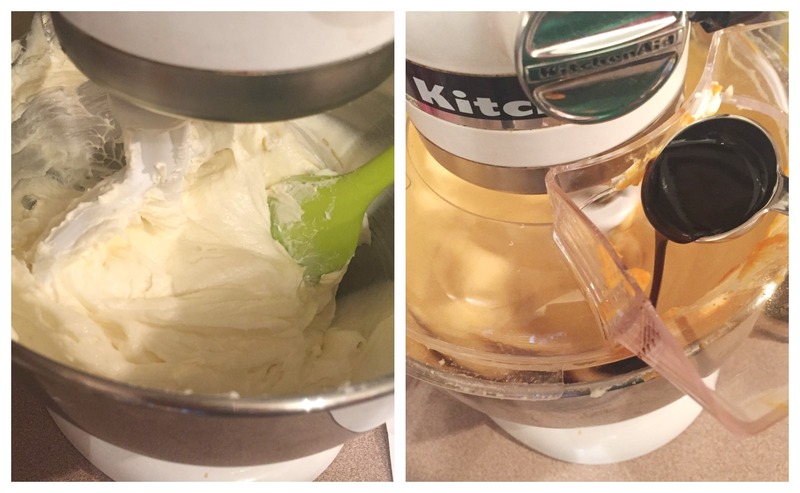 Mixing the ingredients for the filling in my Kitchenaid is always my favorite part! I used vanilla bean paste from a local shop instead of vanilla extract... I just think it's better, and I love seeing the vanilla bean specks. It looked so perfect going into the oven! You can see how I wrapped the springform pan in foil and placed it in a cake pan to serve as a bain marie. I added the boiling water once the pan was placed in the oven. I added some honey roasted pecan bits (shortcut: used the kind that can be used to top salads) and then whipped cream for serving. You could use the whipped cream to decorate the top, but I let people add it as they wished. 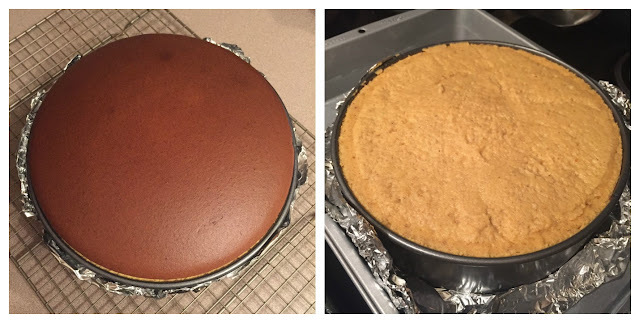 To me, it tasted like pumpkin pie and cheesecake combined in the best way. 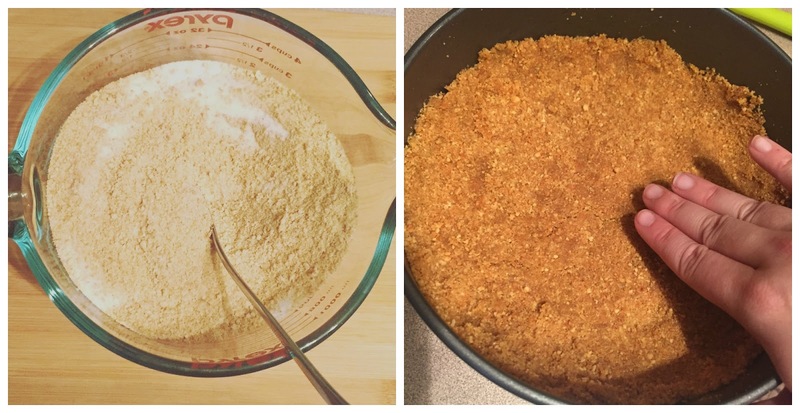 I think I would have preferred a pie crust to the graham cracker crust, but that's just me! I'm no longer afraid to make cheesecake now which is both delightful and dangerous. 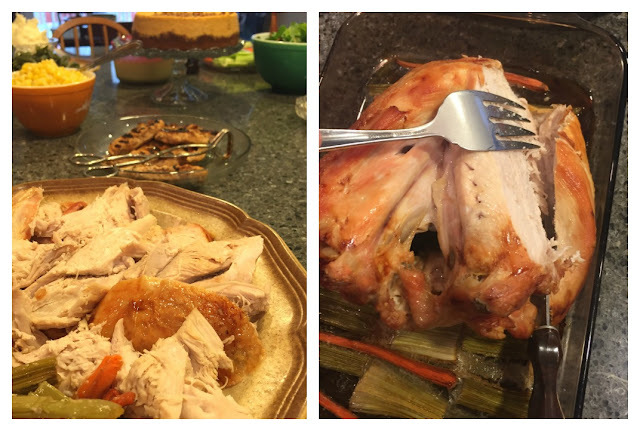 I hope you and yours had a wonderful Thanksgiving! I have another meal ahead with our extended family, but Dan and I joined my parents and cousin for a delicious dinner. Since there was a small group, we made a turkey breast, and I carved it! We had a great spread, with the cheesecake as the dessert event. Yummy all-around. We also went to the movies, because that is a Thanksgiving night tradition for my family! XOXO!